The updated design of the new Range Rover retains the SUV's familiar floating roof and clamshell hood. Land Rover says it has reduced the weight of its next-generation Range Rover by up to 420kg (926 pounds) compared with the current-generation model through heavy use of aluminum in the SUV's bodyshell. The new Land Rover makes its debut at the Paris auto show next month. The design of the new Range Rover updates familiar features such as the SUV's floating roof and clamshell hood but stops short of any radical changes. The automaker, which is owned by Tata Motors, released photos of the car today. "We asked our customers how they would like to see it changed and they said: 'Don't change it, just make it better,' " Land Rover Design Director Gerry McGovern told Automotive News Europe. The new all-aluminum monocoque bodyshell is the first for an SUV, according to the automaker. The bodyshell is 39 percent lighter than the steel structure used before and helps deliver "significant" improvements in performance and agility, as well as fuel economy and CO2 emissions, Land Rover said in a statement. No figures were given. The new Range Rover has an all-aluminum monocoque bodyshell making it 39 percent lighter than the steel bodyshell used by its predecessor, Land Rover says. 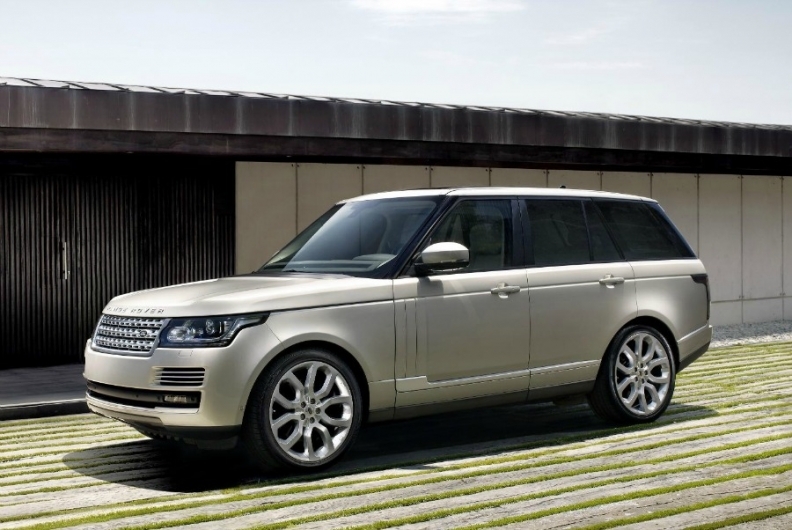 Land Rover says the new Range Rover will match the refinement of luxury sedans. High-end versions are likely to challenge planned superluxury SUVs from Maserati and Bentley, with the most expensive Range Rover expected to reach 150,000 euros. No pricing was given. One option on the new car is to replace the rear-seat bench with two individual so-called Executive Class chairs. Rear legroom has been increased by 118mm (4.64 inches), the carmaker said. 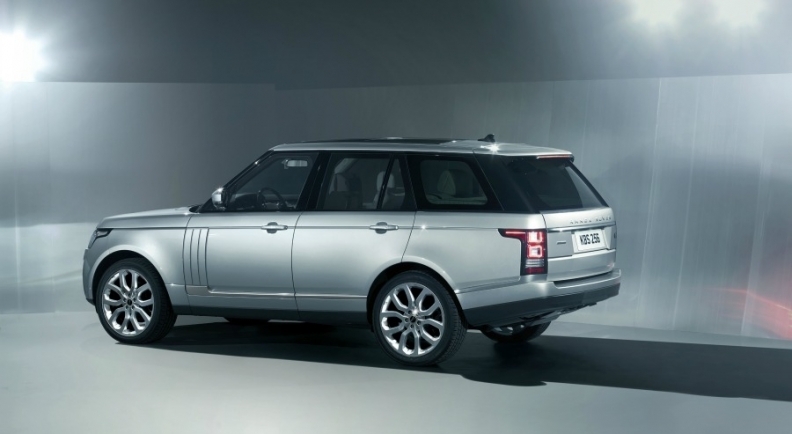 The new Range Rover will be offered with three engines when it goes on sale in early 2013. The eight-cylinder diesel and eight-cylinder supercharged gasoline engines carry over from the current car, while the cheapest powerplant will be a six-cylinder diesel. Details of power outputs weren't released. An eight-speed automatic transmission is standard. The new car will be built at a new manufacturing facility at Jaguar Land Rover's plant in Solihull, England, alongside the Range Rover Sport, Land Rover Discovery and Land Rover Defender. In total, the Range Rover will be offered in 160 countries. In the first six months of 2012, Land Rover sold 3,410 Range Rover units in Europe, compared to 8,824 of the smaller Range Rover Sport and 27,685 of the 'baby' Range Rover, the Evoque, according to figures from market analysts JATO Dynamics. McGovern said the brand is "creating a whole new generation of products" over the next few years to replace aging models such as the seven-seat Discovery, Range Rover Sport, Freelander and Defender.